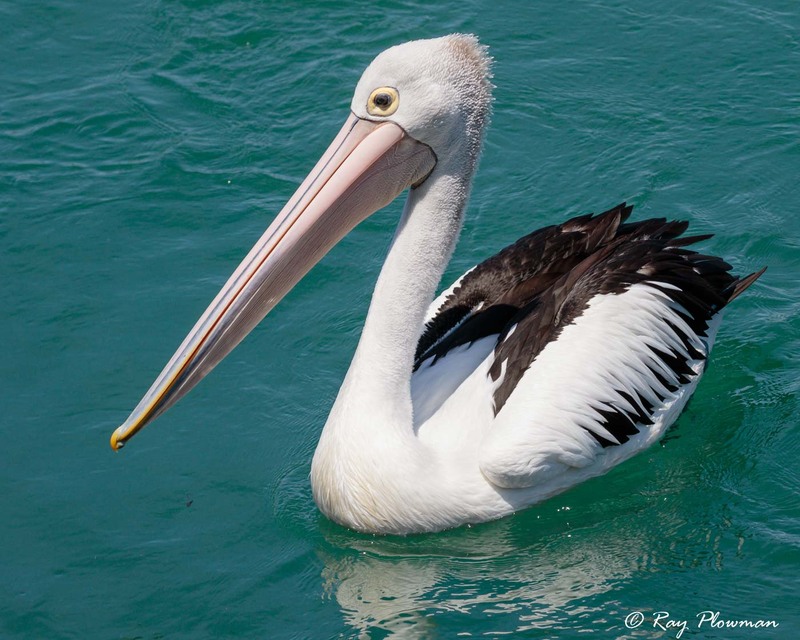 Pelicans belong to the Pelecanidae family and storks to Ciconiidae. This page features short photo essays and galleries of these two families depicting roosting, flying, preening, drying-out and other behaviours. 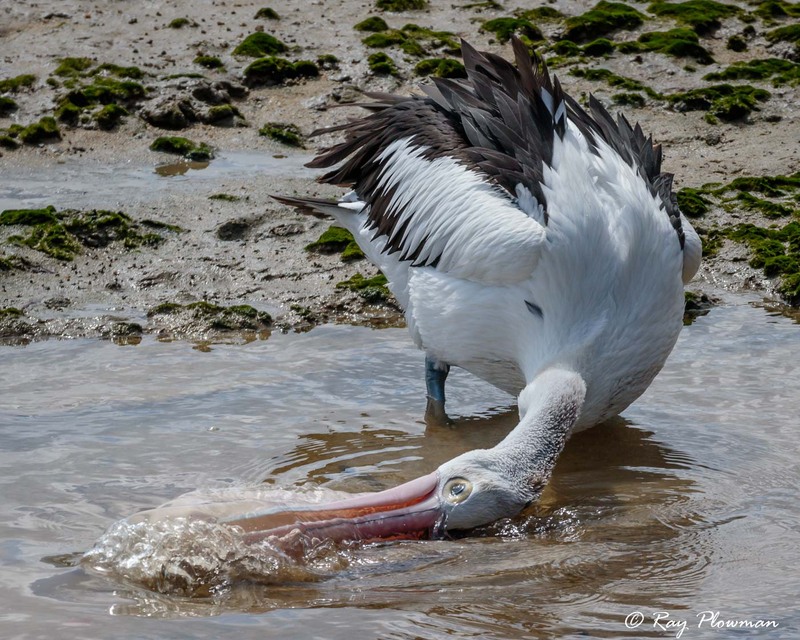 The gallery shows a short photo essay of a pelican possibly drinking water from shallows at Cairns mud flats in Queensland. 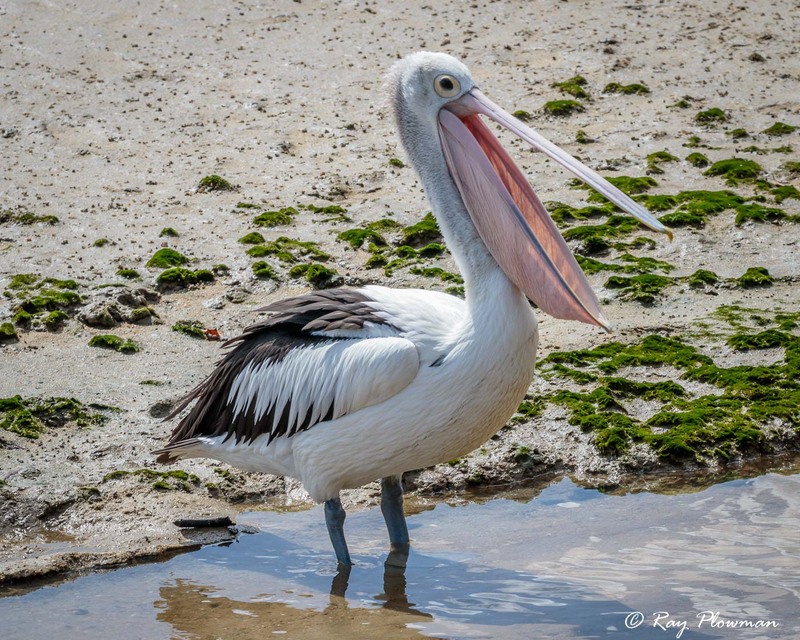 I was observing birds on the mud flats when I noticed a pelican heading for shallow water near the Esplanade wall. I assume this was freshwater run off from the city rather than sea water. 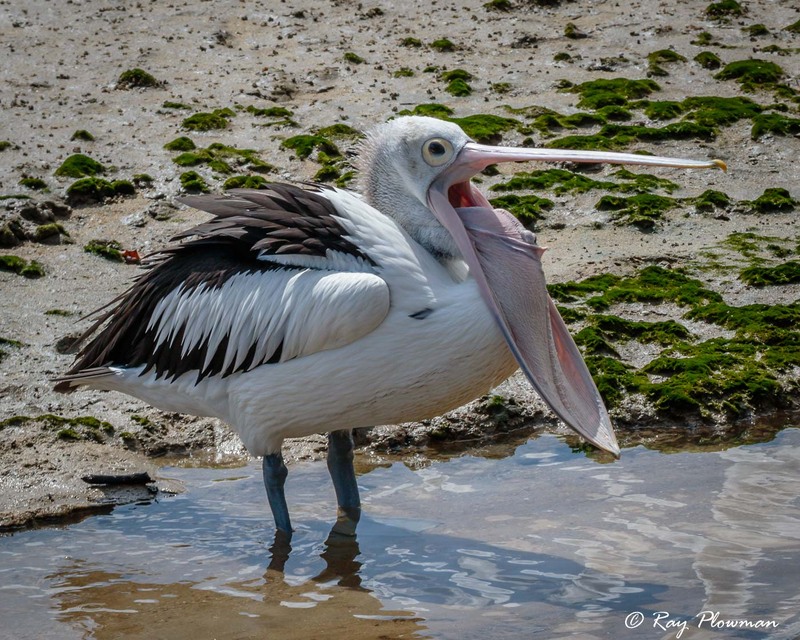 It went into the water stopped, opened its bill, pulled its head back so that the lower mandible was inside out, then opened its bill again. 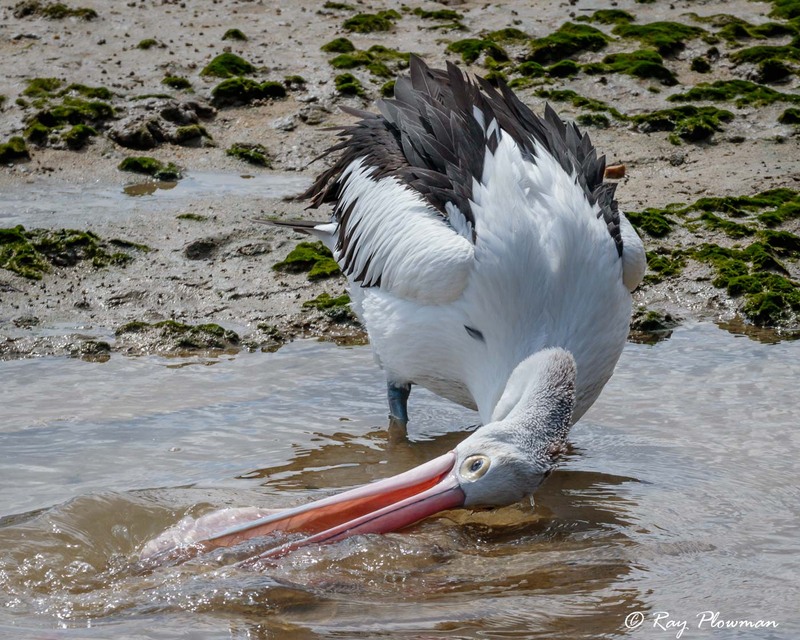 After a few minutes it put its open bill side-on into in the water, closed its bill before pulling it out repeating the action but putting its head in as well. It seemed to close the bill full of water, withdraw it from the water, raise it head back as if to swallow. Or it may have just been washing it bill. 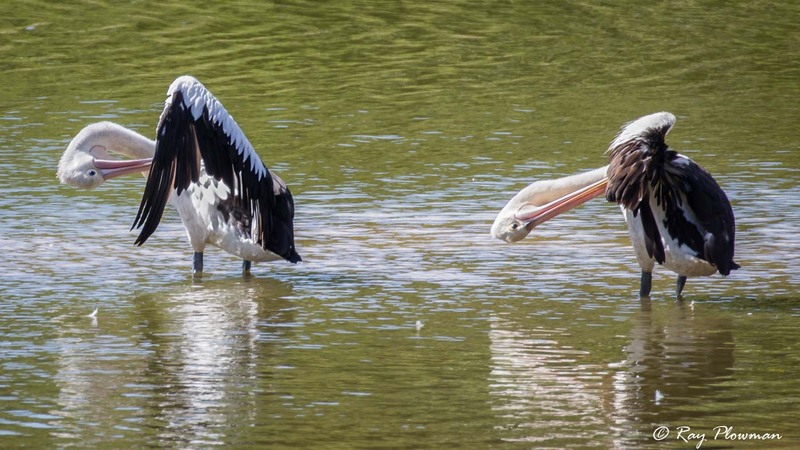 The other images feature preening, resting, swimming and flying. 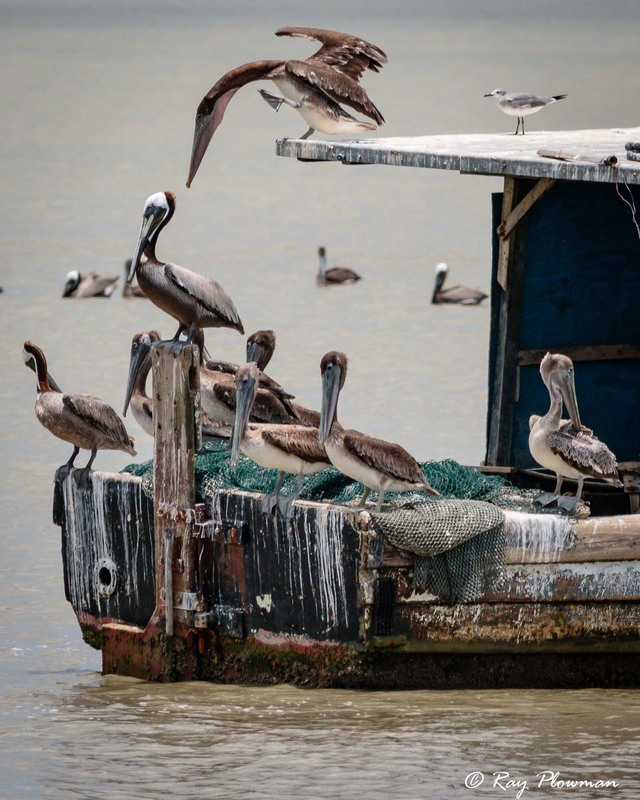 The final image is brown pelicans resting on a fishing boat in Trinidad. 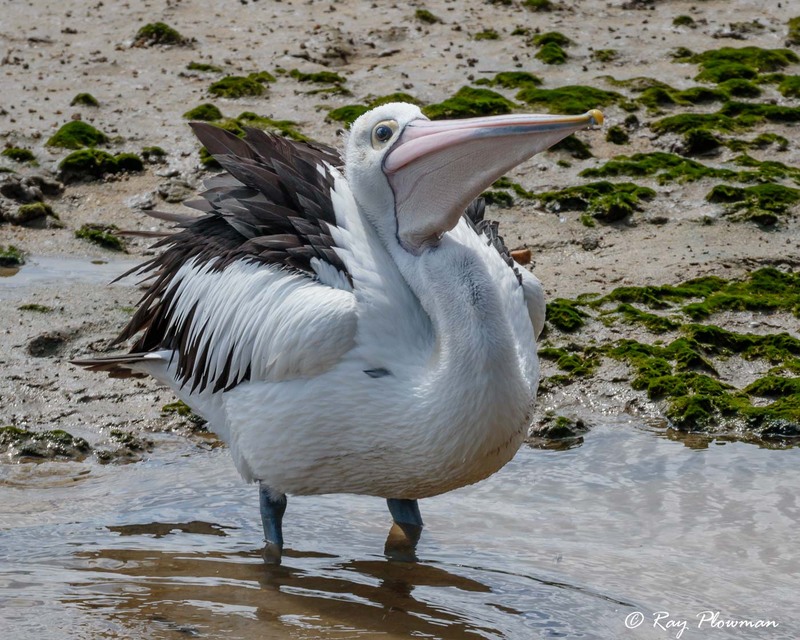 Australian Pelican range from western Indonesia, Papua New Guinea, Australia and some western Pacific Island. 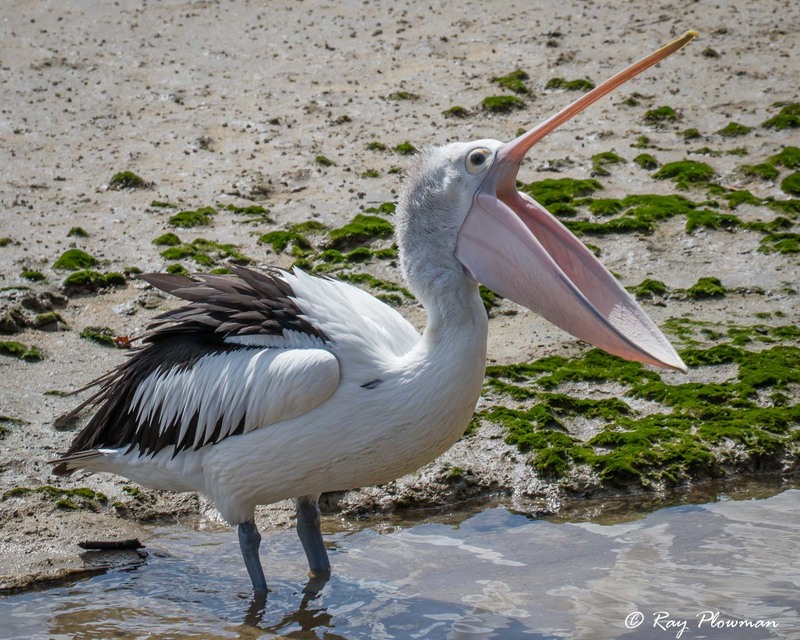 It’s the biggest pelican species having a wingspan around 2.5 metres and a long-elongated bill. 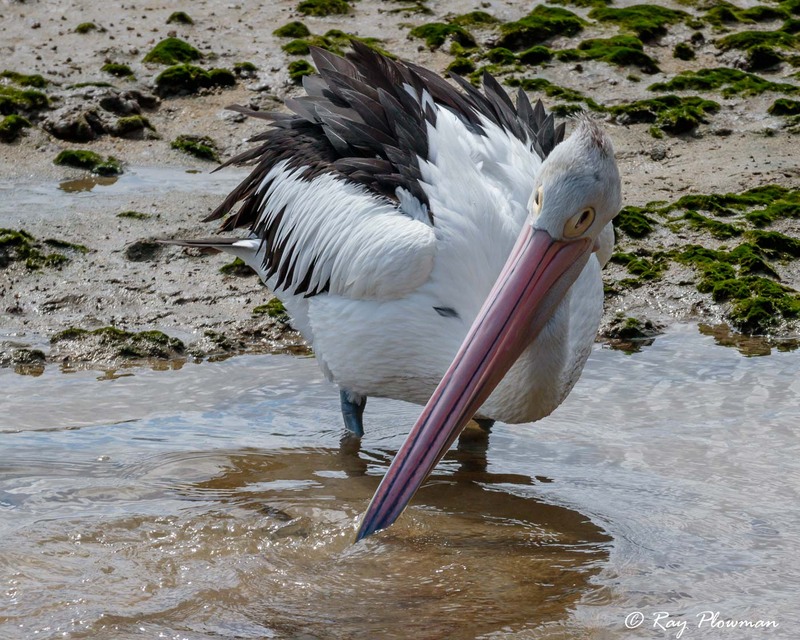 I photographed them on the shores of Lake Albert in South Australia, Queensland and Gippsland Lakes in Victoria. 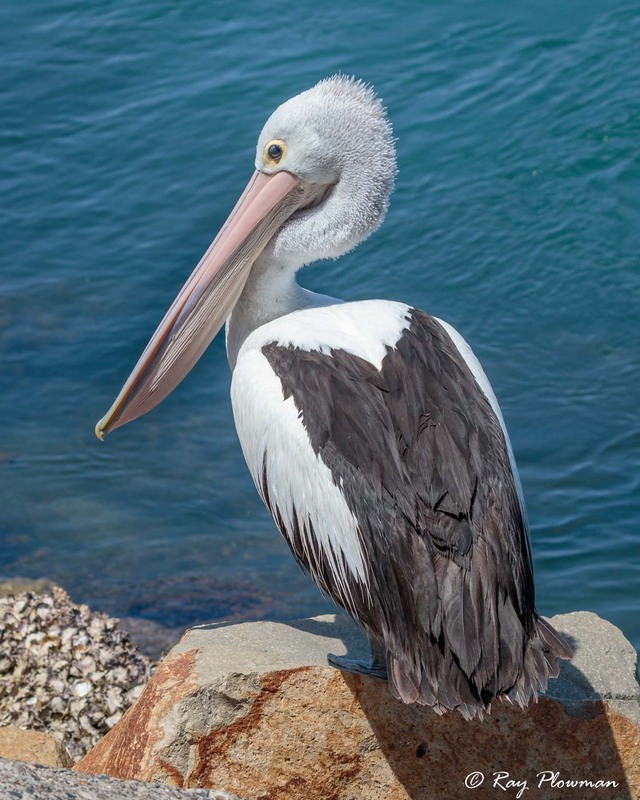 Brown Pelican steal fish scraps from areas where there are fishing boats. It’s the smallest of the species and can be found in the Neotropic region. 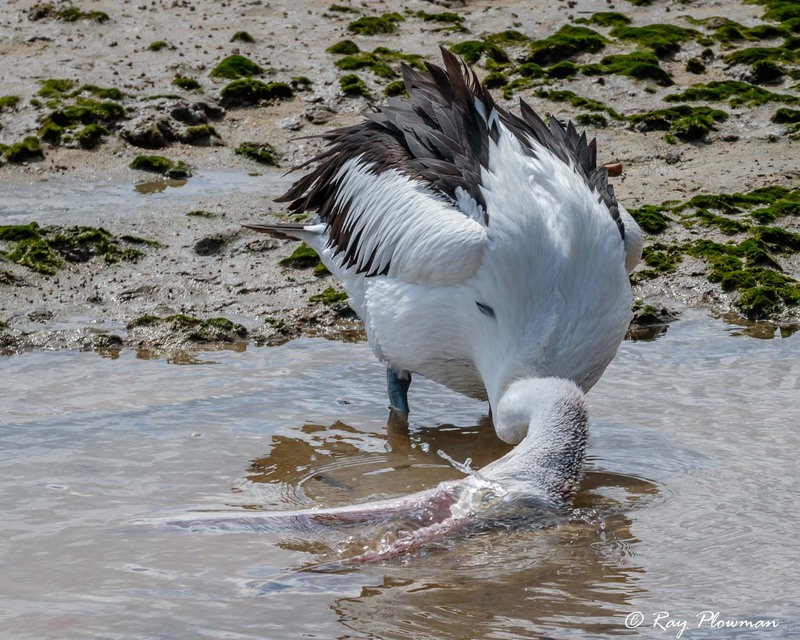 I photographed them diving into the sea of the northern Trinidadian coast at Grande Riviere and at the fishing pier at the Orange Valley Mudflats. I came across this small pelican roost on a small islet surrounded by reed beds at the edge of Lake Albert / Yarli on the east side of Meninge. 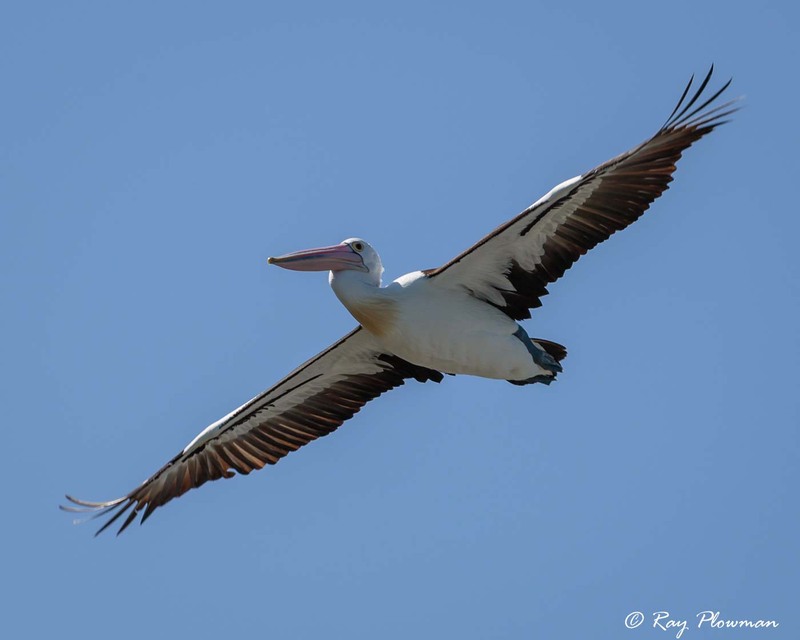 There were both adult and immature pelicans together with at least one little pied and several little black cormorants. 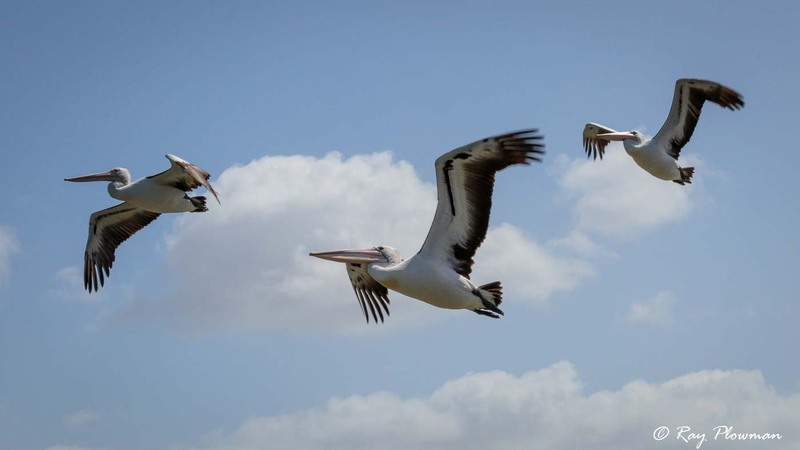 Several adults decide to fly making clumsy take-offs. 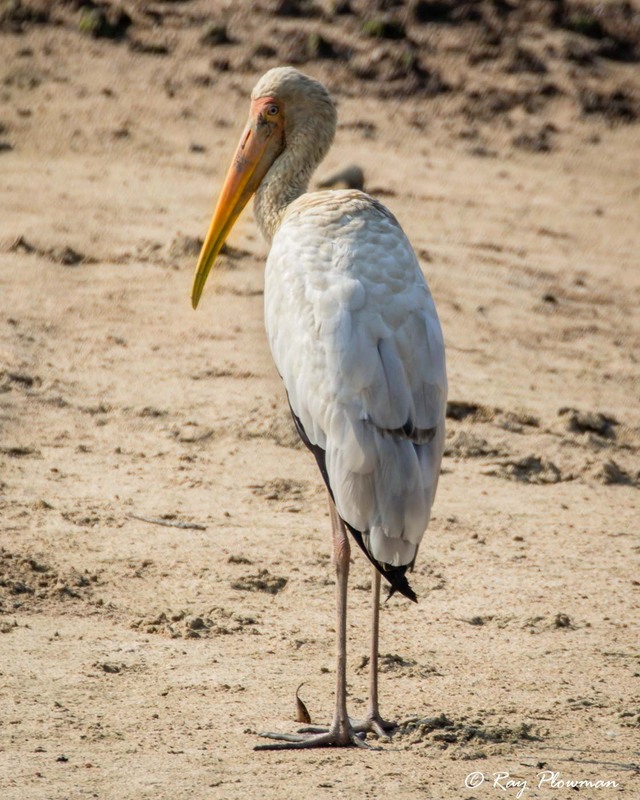 The painted stork (Mycteria leucocephala) and milky stork (Mycteria cinerea) are introduced species to Singapore, IUCN Red List refers. 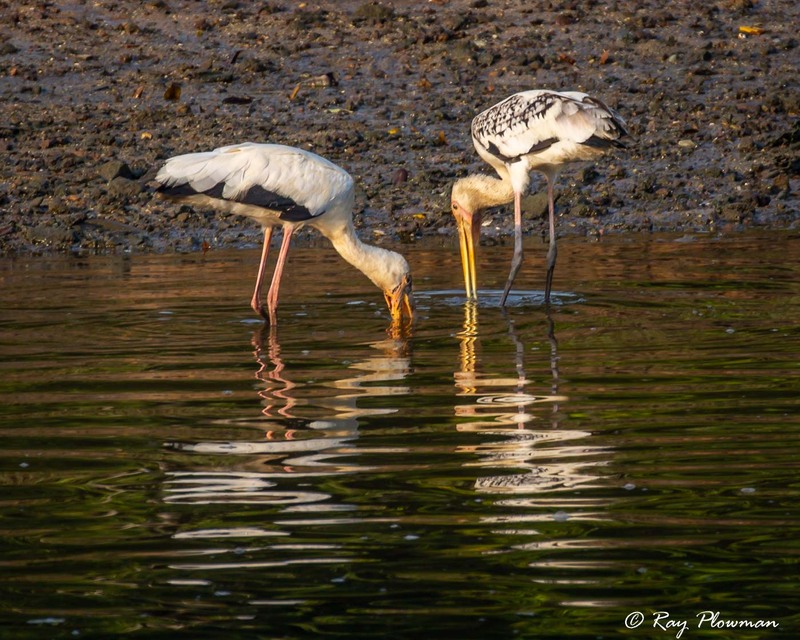 I photographed both species at Sungei Buloh Wetland Reserve. Also, a milky at the Japanese Garden, although it may have been an escapee from Jurong Bird Park. 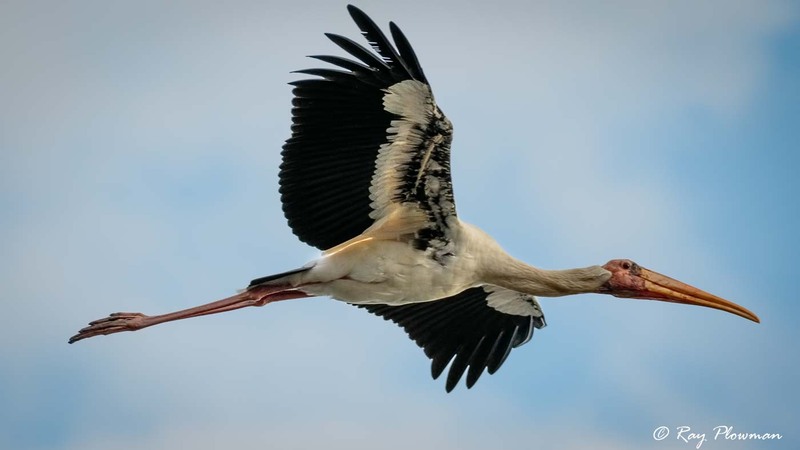 According to IUCN Red List free-flying painted and milky storks occur at Singapore Zoo, and hybridisation has apparently produced reproductively viable offspring (Yong D. L. in litt. 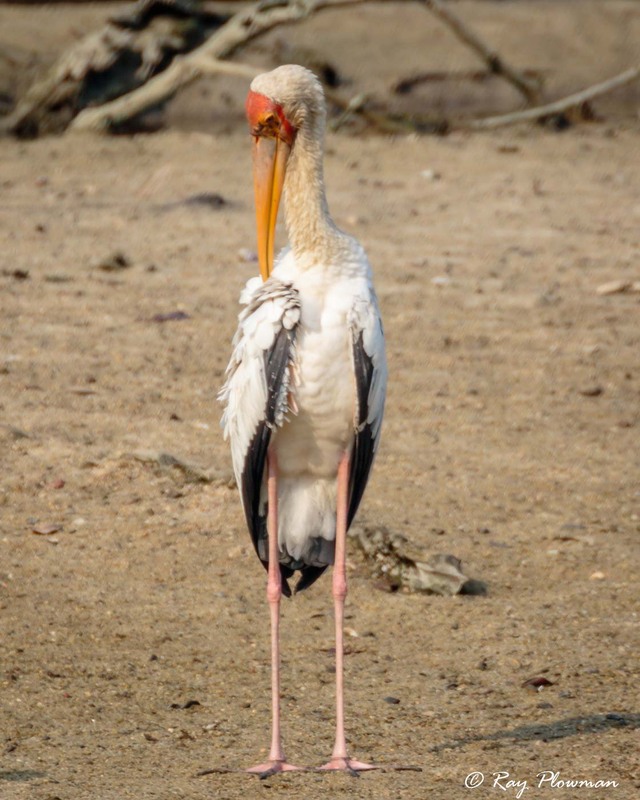 2011), raising the possibility that these hybrid birds could cross to Sumatra and mix with key milky stork populations and pose a threat if they crossed over into mainland South-East Asia. The Bird Ecology Study Group in Singapore reports of possible hybrids at Sungei Buloh Wetland Reserve and its only 8Km, as the crow flies, from Mandai. 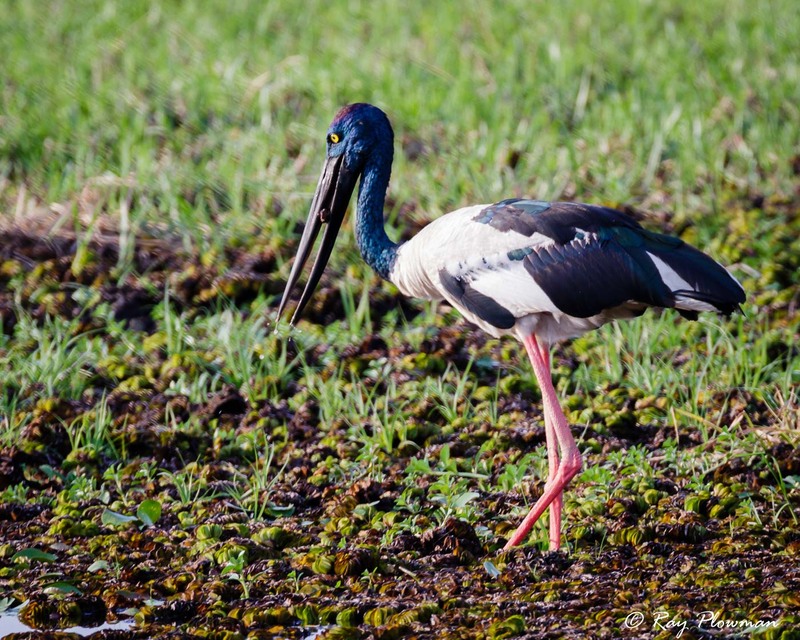 Distinguishing features: Painted storks are speckled black pectoral band, that all other stork species lack, and pinkish tinged wings, in non-breeding are generally duller. 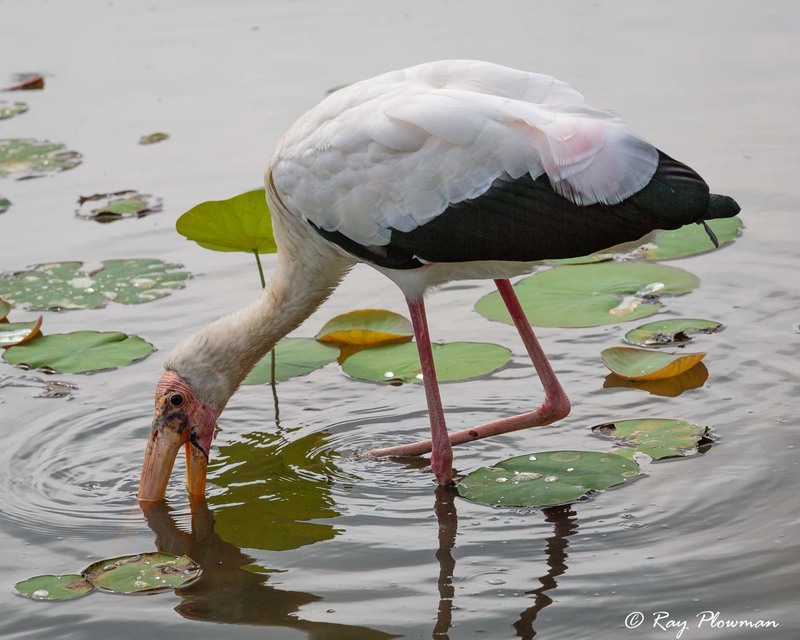 Milky storks have a black patch at the base of bill and non-breeding plumage lacks milky tone, dark red facial skin, pinkish-yellow bill, dull red legs and feet. 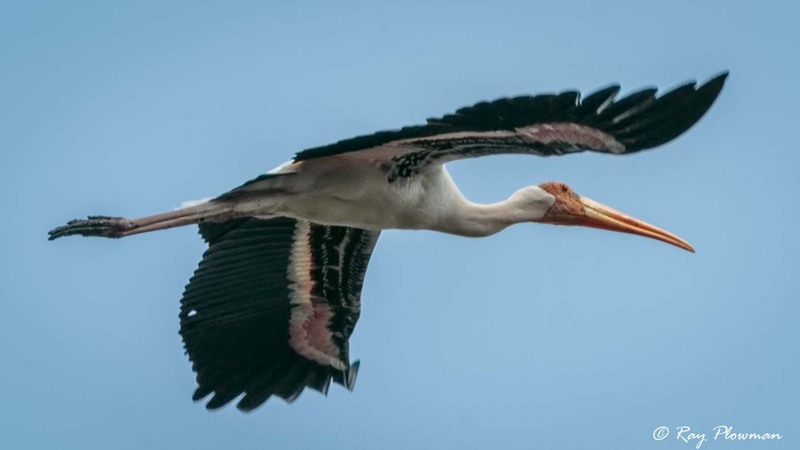 I think images captioned milky stork are probably true except for the image taken at Japanese Garden which does have a pink tinge to the wing. 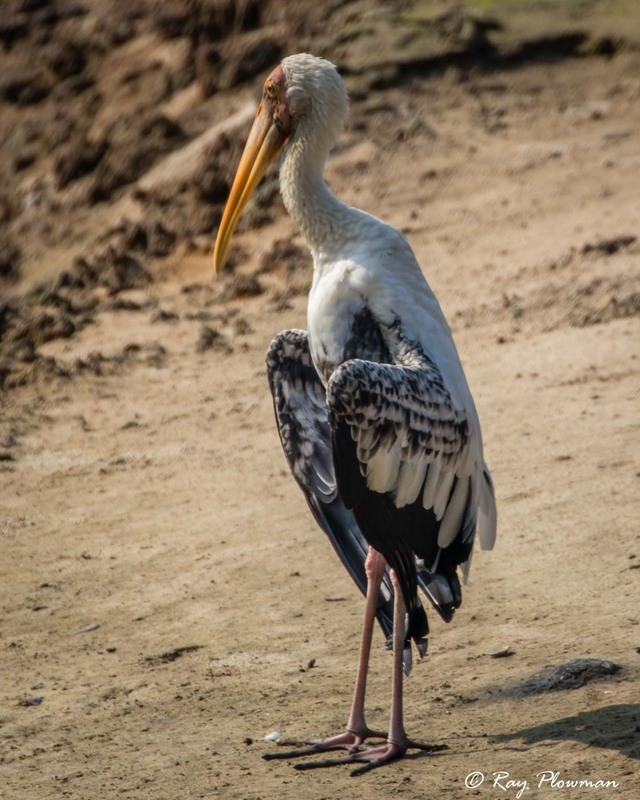 Captioned painted stork images, which have black patches at the base of the bill are probably hybrids although the sunbathing posed individual does have a pectoral band but seems to lack pink wing tinge. 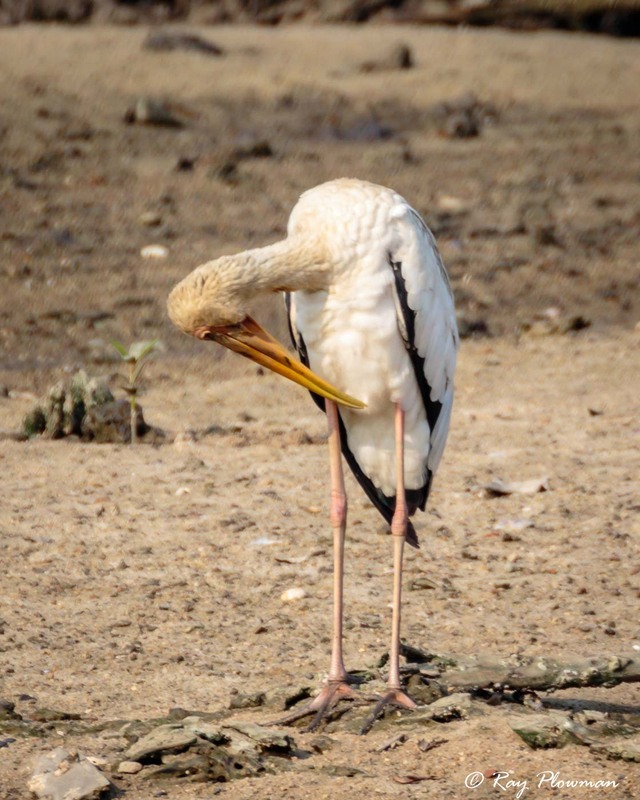 Maybe all milky and painted storks in Singapore are hybrids but favouring one species.